Empowering end users to develop web applications for temporal needs is a well-researched web engineering challenge. Increasing usability, lowering the learning overhead and minimizing the gap between user’s intention and the provided solution are the ultimate goals of EUD practices. 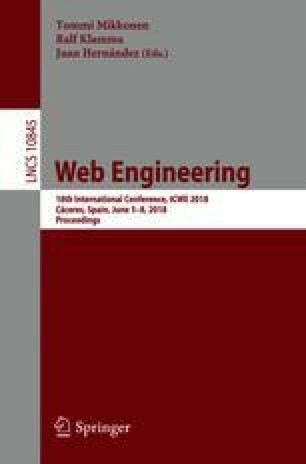 In this paper, we propose an architecture which addresses these challenges by leveraging Semantic Web and Natural Language Processing techniques. Users can directly express their intentions in natural language. The framework identifies the user’s domain based on the input intention and then can fetch the domain-related components. Additionally, our approach assists domain experts to generate domain ontologies.